2 million blog posts are created every day. Every minute 300 hours of video content is uploaded on YouTube. All of these efforts with one goal in mind- going viral. Don’t all the digital marketing companies in India dream of their marketing campaigns going viral? But, only some of them can live this dream. What is it that separates viral content from average content? Is it the emotional connect, the concept, writing style, the hashtag, aesthetics or the channel it is shared on? With so much noisy content out there, you need to consider strategies that can draw the attention of your target audience and enhance your brand presence. Keep reading to know how to create content that enhances your digital marketing campaign and strikes a chord with the audience. Create content which connects with the right people! Consider Dove’s ‘Real Beauty Sketches’ campaign as an example. Here, the brand knew the demographics of their target audience. This campaign featured a forensic artist trained by FBI to sketch ‘real women’; NO models, NO celebrities. The artist drew sketches based on the description given by the real women. And the second time by a stranger. Dove was able to establish a strong connection with a simple message: “You are more beautiful than you think”. Millions of people who related to the women in this video shared on various social media platforms. Hence, to create effective content, you need an in-depth understanding of who your audience is and what they can relate to. A study says when individuals have a positive emotional connect, they are 7 times more likely to buy from that specific brand (Murray P, Psychology Today, How Emotions Influence What We Buy, 2013). This content is something that sparks a feeling in your audience; ranging from humour and love to fear and hatred. One such brand which made an emotional connect is “Fortune Oil” with its campaign, “Ghar ka Khana”. Delicious food made by our loved ones is something that everyone relates to. And, this is just what this brand did; by starring a grandmother with a tiffin for her bed-ridden grandson. To watch this ad, click here! After creating an effective blog post or a video, ensure that you give people an option to share it. Only then will people know about it and your content can become viral. A study by ‘Power of Likes’ found out that social media users are more likely to share content that is previously liked by many people (Seiter C, Bufferapp, The Psychology of Social Media: Why We Like, Comment, and Share Online, 2017). For this, along with adding a built-in sharing option, you can also add the number of likes, views, comments, and shares on your content. 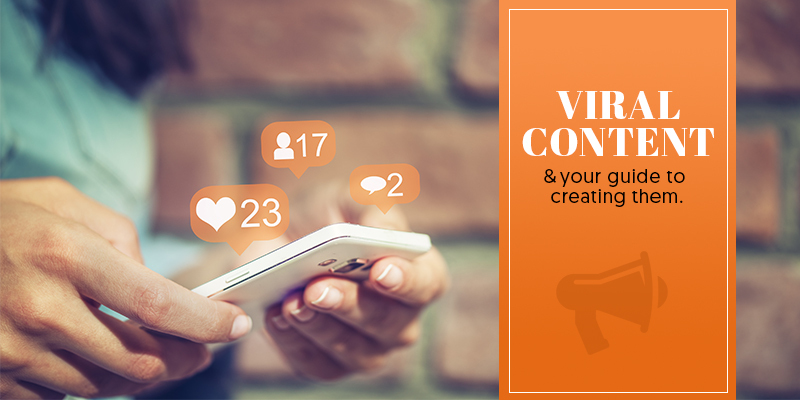 Creating a video/ ad/ blog which connects with your audience is the first step to viral content. To ensure there is good engagement, you can ask your audience to participate in it. This goes beyond sharing and makes it interactive. Starbucks is one of the top brands that used user-generated content to go viral. In 2014, this brand asked its customers to doodle on their white Starbucks cups and submit their pictures on Twitter or Instagram with #WhiteCupContest. The best design would be the new look of their limited edition Starbucks cup. This campaign received more than 4000 entries in just a week’s time! Make your audience a part of your brand show that you value them! It is not just about your content, but also the way you present it. The font, format, layout, colours, visuals and background, all these elements play a major role in drawing attention. For example, if you are working on a blog, you should organise it in a way so that it is easily scannable and has a clear eye path. This increases engagement. Uploading a video of the ALS Ice Bucket Challenge now is as good as using Orkut. It has no point. The success of your digital marketing efforts for viral content depends on the timing. To ensure your content goes viral, you should stay tuned with the latest events and trending topics. One such brand that has been doing amazingly well with creating content that is #Trending is Zomato. Whether it is the news of C.I.D. going off-air or the live updates of cricket matches, this brand has done it all with its witty take on trending content. Who else would be better at telling you what’s trending on the market and how your brand can benefit from it? A good digital marketing agency in India will look after your brand, understand your audience, enhance your online presence and create effective content that reaches your audience at the right time! Over the years, the concept of viral marketing has become a prominent element for the success of digital marketing. Using this method of marketing can help your brand stand out in the ocean of content that is produced every day! 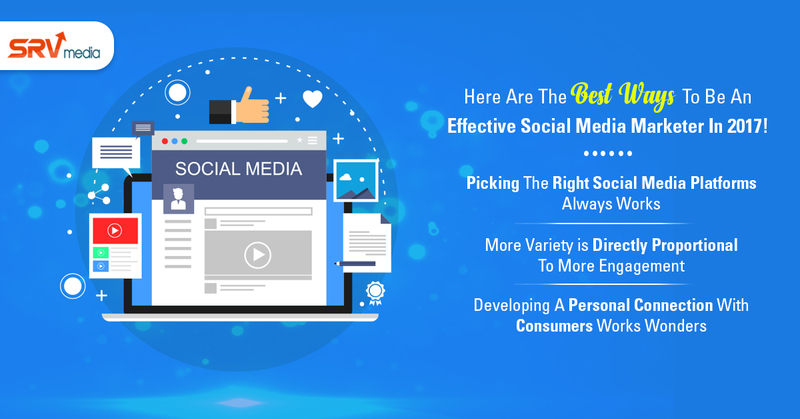 Here Are The Best Ways To Be An Effective Social Media Marketer In 2017!